The lending niche that gets Lloyd Blankfein, Leon Black, and Steve Schwarzman in a room has pensions and endowments circling. 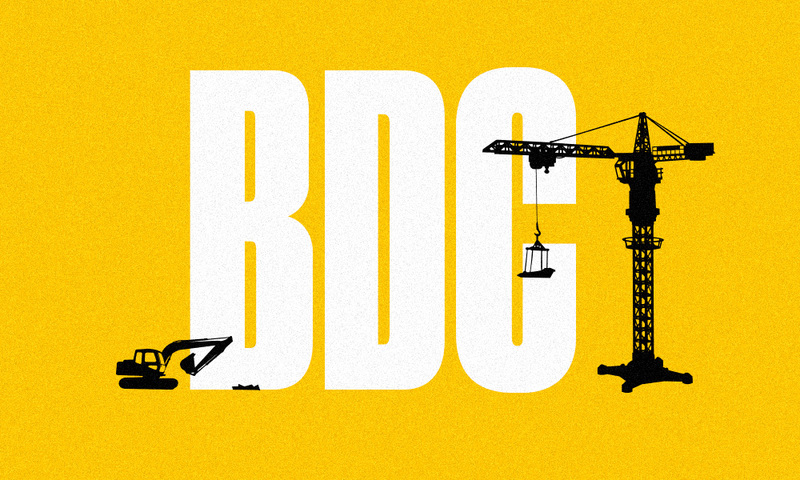 Are BDCs ready to be tamed? If Jonathan Bock put on a conference, work friends warned, the only attendee would be Jonathan Bock. He is the undisputed guru of an esoteric financial lending structure — business development companies — and he believed there were BDC-curious investors out there who should know more than the vehicle’s reputation for outsize returns and complexity. In 2013, Bock, a Wells Fargo & Co. research analyst and managing director, and his employer put together the inaugural forum, booked the rooftop room of New York’s St. Regis, and hoped for the best. “I expected 100 people to show up, and 300 came,” Bock recalls, his grin audible over the phone. “Wow, was it hot in that room. That first year, it was basically a few BDC managers, the SEC’s investment management head, Norm Champ, and Steve Schwarzman. The year after, we moved to two days at the Plaza and had 600 people. Then 900. Last year, we hosted over 1,215.” Attendees in 2016 included Goldman Sachs CEO Lloyd Blankfein, Wells Fargo CEO Tim Sloan, Apollo Global Management co-founder and CEO Leon Black, Providence Equity Partners CEO Jonathan Nelson, TPG co-founder David Bonderman, Avenue Capital Group CEO Marc Lasry, Blackstone CEO Schwarzman and head of credit Bennett Goodman, and former New York Yankees manager Joe Torre. The hottest sector, by far, for large investors is direct lending — when anyone but a bank or a brokerage firm lends money to another company — as Institutional Investor research found in late 2016. Banks used to be the main lender to the middle market (firms earning $10 million to $100 million per year) but have backed away since the financial crisis. And institutional investors have eagerly stepped in. “They’re looking at a return closer to 10 than to 0, on a floating rate, and you don’t have to sit around for five years to realize those numbers,” says Steve Nesbitt, CEO of alternatives advisory firm Cliffwater. Says a top-performing manager, Nesbitt is “the one consultant worth listening to on BDCs.” There are two main avenues for investors to get their money to middle-market lenders, who do the serious legwork of sourcing deals, assessing creditworthiness, and negotiating loans. The first is private partnerships, which operate as they do in private equity, with the general partner putting limited partners’ capital to work. 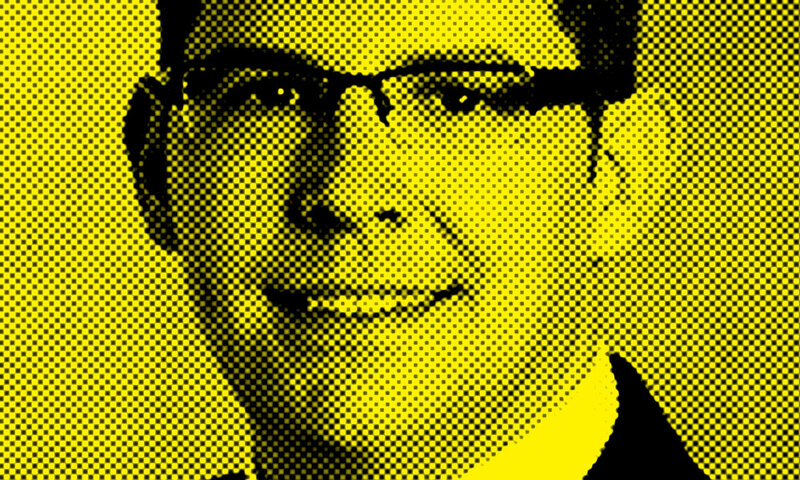 Two fee practices common among BDCs are unheard of elsewhere in private markets, note Spick and Bock: charging a management fee (typically 1.5 percent) on total assets, including those financed through leverage (capped at 1-to-1 for BDCs). In contrast, private equity firms charge management fees on committed capital — or the equity portion only. When an investment vehicle’s fee practices make private equity look good, it may have a problem. In other words, many BDCs charge performance fees on capital they end up losing. Both Spick and Bock get wound up just explaining the model. 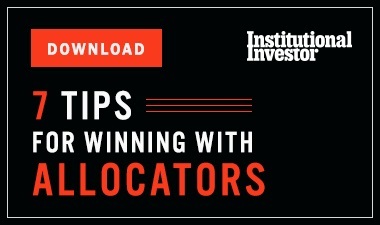 The bottom-feeders of the industry, experts say, are “zombie BDCs.” These listed BDCs trade well below their respective net asset values and do so for a long time, Bock explains, indicating that either the market doesn’t believe their valuations or it values their assets less because of who’s managing them. Year after year, zombies rake in large fees for poor performance, and capital dwindles but doesn’t flee. 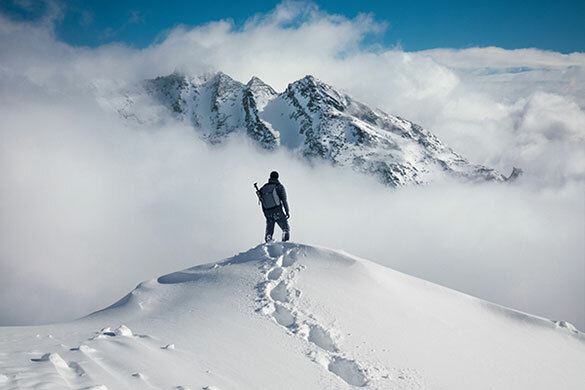 Several firms have succeeded in pushing BDCs to advisers managing individual retirement accounts, who in turn recommend them to individual investors. 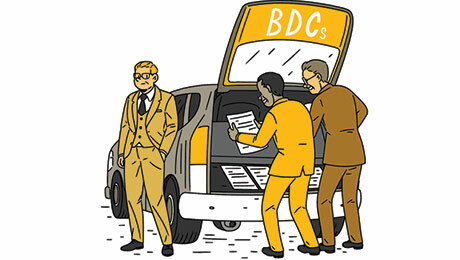 For BDCs the good-governance mechanism of activist investors doesn’t exist. No hedge fund, mutual fund, or other investment firm can own more than 3 percent of another, per 40-ACT rules. A pension fund or endowment could play BDC Bill Ackman, but it hasn’t happened yet. And so the zombies lumber on.